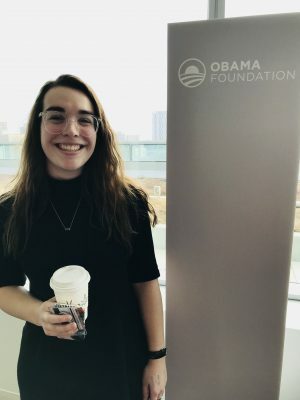 Lizzie Mombello ’19 has accepted a new challenge this semester as a Cornell Fellow with the Obama Foundation in Chicago. 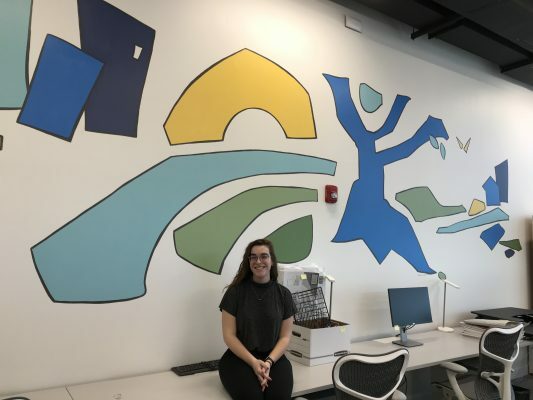 The sociology and Spanish major from Overland Park, Kansas, is working on a variety of projects, and she says perhaps the biggest project was one of self-discovery. The Cornell soccer player moved to Chicago in January to take on her role as the development department intern. She says every day is different, but she felt ready to take on the work with her Cornell experience. Mombello wrote a blog throughout her time in Chicago, sharing about her schedule and work with other teams. She especially related to the mission and values of the Foundation. As part of her internship, she also selected a special passion project. 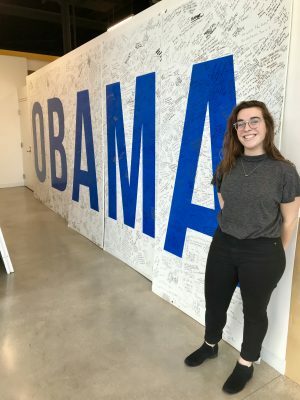 Mombello hosted interviews and conversations with Obama Foundation staff to understand how diversity, equity, and inclusion are incorporated into hiring practices and the ways that diverse staffs are maintained in a professional setting. Mombello says her Cornell Fellowship has solidified her future path. Mombello wraps up her internship on May 10, just in time to return to Cornell for graduation. As she arrives back at the Hilltop, she’ll be glad to be home. Cornell fellowships are the college’s premier opportunity for high-level internships and professional mentoring, and it comes with a sizeable stipend to help students afford expenses like transportation and housing. Approximately 20–25 students participate in fellowships across the United States and internationally each year, the majority of them taking place during the summer. Cornell Fellows will present about their internships at the upcoming Cornell Fellows Showcase on Wednesday, April 17 at 6:30 p.m.in the Thomas Commons.